Count James Harden among those who would support the Houston Rockets adding Carmelo Anthony. 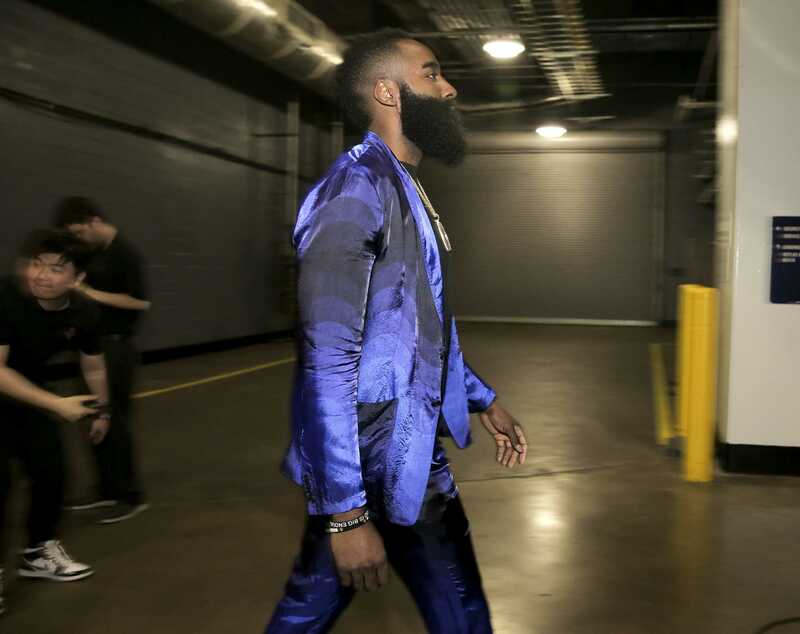 "It would be a great acquisition for us," Harden recently told Matt Young of the Houston Chronicle. "Melo's a proven vet. He just wants to win at this point, so it would be great for him to be on our team. The current roster we have now, we've got good guys back and we keep making forward progress." The Oklahoma City Thunder dumped the former All-Star off to the Atlanta Hawks this past week, a move that is expected to lead to a buyout. That comes less than one month after he exercised his $27.9 million player option for the 2018-19 campaign. Houston is among the teams that have met with Anthony this offseason. Rockets general manager Daryl Morey, via The Athletic's Alykhan Bijani, let it be known on Saturday that the Rockets are "in the mix" for the veteran forward. Harden is not the only Rockets player who wants to see Anthony wind up in Houston, though. Yahoo Sports' Jordan Schultz reported earlier this month that Chris Paul was pushing for the move to be made. Bringing in Anthony makes sense for Houston. Not only is he good friends with Paul, but the Rockets are also in need of forward depth after losing Trevor Ariza and Luc Mbah a Moute during free agency. He also made a career-high 169 three-pointers last season, proving that he can hold his own on a team that takes more shots from deep than any squad in the league. If Anthony is looking to capture that elusive championship ring, there may be no better fit than Houston. The Rockets were one win away from the Finals last season, and with Paul and Harden still looking for their first rings, there is plenty of hunger in Houston.